With the rapid development of online learning technology, a huge amount of e-learning materials have been generated which are highly heterogeneous and in various media formats. Besides, e-learning environments are highly dynamic with the ever increasing number of learning resources that are naturally distributed over the network. On the other hand, in the online learning scenario, it is very difficult for users without sufficient background knowledge to choose suitable resources for their learning. In this paper, a hybrid recommender system is proposed to recommend learning items in users’ learning processes. The proposed method consists of two steps: (1) discovering content-related item sets using item-based collaborative filtering (CF), and (2) applying the item sets to sequential pattern mining (SPM) algorithm to filter items according to common learning sequences. The two approaches are combined to recommend potentially useful learning items to guide users in their current learning processes. We also apply the proposed approach to a peer-to-peer learning environment for resource pre-fetching where a central directory of learning items is not available. Experiments are conducted in a centralized and a P2P online learning systems for the evaluation of the proposed method and the results show good performance of it. 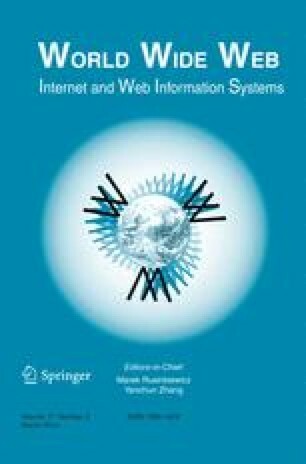 This paper is an extension of paper “Combining Collaborative Filtering and Sequential Pattern Mining for Recommendation in E-learning Environment”, which was originally published in the proceedings of ICWL2011.